The Send My Friend to School campaign has launched its 2017 campaign in Parliament to call on the UK government to support education for the world’s poorest children. The campaign focuses on the global financing crisis as a missing piece of the puzzle for ensuring education for all. The upcoming financial replenishment of the Global Partnership for Education is a unique opportunity for the UK Government to demonstrate its commitment to strengthening national education systems in the world’s poorest and most fragile countries. Over 300,000 young campaigners across the country are raising their voices in support of global education financing, meeting with their local MPs and sending jigsaw puzzle pieces to show why global education matters to them. 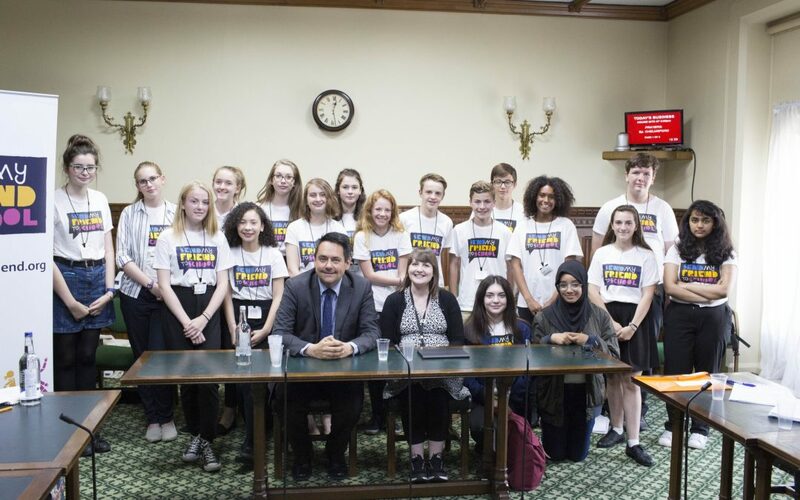 Send My Friend Campaign Champions meet Stephen Twigg MP and Rachael Cox (International Development Committee).